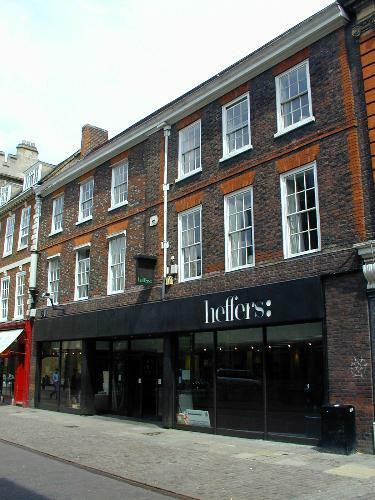 Heffer's, perhaps the best book store in the world, moved into this site, owned by Trinity College, in 1970. At that time the exterior was left largely unchanged but the interior had a complete makeover, done by Austin-Smith:Lord. The interior structure largely remains as then, but the façade and interior layout have been changed several times since, most recently in 2000 after Blackwell's, the Oxford equivalent of Heffer's, took over. Trinity occupies the space above the store.